The NFL draft is only days away and Bay Area junior quarterback Jared Goff, who played at the University Of California, may be the first pick by the Los Angeles Rams on April 28, 2016. The hometown hero Goff was born and raised in Novato, California and played high school ball at Marin Catholic. Growing up, Goff had professional athleticism in his blood with his dad Jerry Goff playing catcher in the MLB for the Montreal Expos and Houston Astros. At Marin Catholic Goff put up outstanding numbers in three varsity seasons with 7,867 passing yards and 93 touchdowns to only 18 interceptions. Even with these stats Goff still wasn’t heavily recruited, but still got offers from the likes of Fresno State, Boise State, Washington State, and Cal. Goff decided to follow in his father’s footsteps and choose to attend the University of California, Berkeley. He played three seasons at Cal and put up big numbers with a career total of 12,195 passing yards, 96 touchdowns to 30 interceptions, and an amazing quarterback rating of 144.0. In 2015 he broke a school and Pac-12 record by throwing 4,714 yards in a single season. Goff was also named first-team All-Pac-12 in 2015 and won and earned the 2015 Armed Forces Bowl and MVP. That was also the first time since 2008 that Cal won a bowl game. 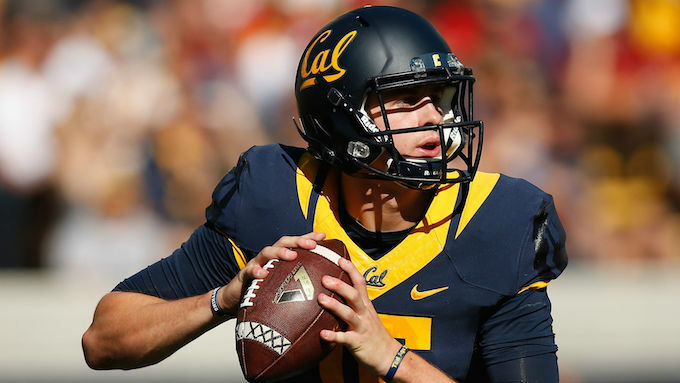 After his junior season at Cal, Goff declared for the NFL draft and is ranked in the top two of this year’s quarterback class. Goff enters the draft with a height of 6’4 and weighing in at 215 pounds. He has an NFL arm, good pocket mobility, and has demonstrated the leadership qualities to be a franchise quarterback. The Rams has the first pick in this year’s draft and most of the NFL’s experts have him going number one on their mock drafts. If these mock drafts are correct this would be a big deal for the Bay Area and bring notice to the athletic programs of Cal. In 2016 the Rams relocated to Los Angeles, so we could see a lot of jerseys being worn by Bay Area fans throughout the city. Take eventseeker on the go! Download the eventseeker app for iPhone, Windows, or Android and be the first to know the latest updates from your favorite bands, sports teams, comedians & more. Think of us as your personal advisor for music and events.